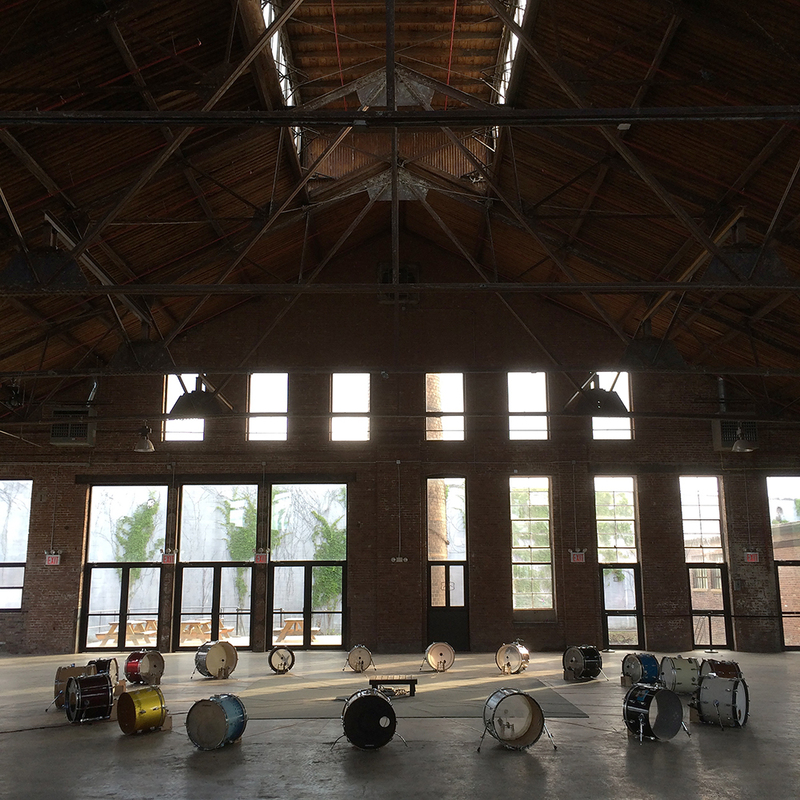 An installation piece created in collaboration with Ranjit Bhatnagar for the Anxious Spaces: Installation as Catalyst exhibition at Knockdown Center curated by Clocktower Gallery. 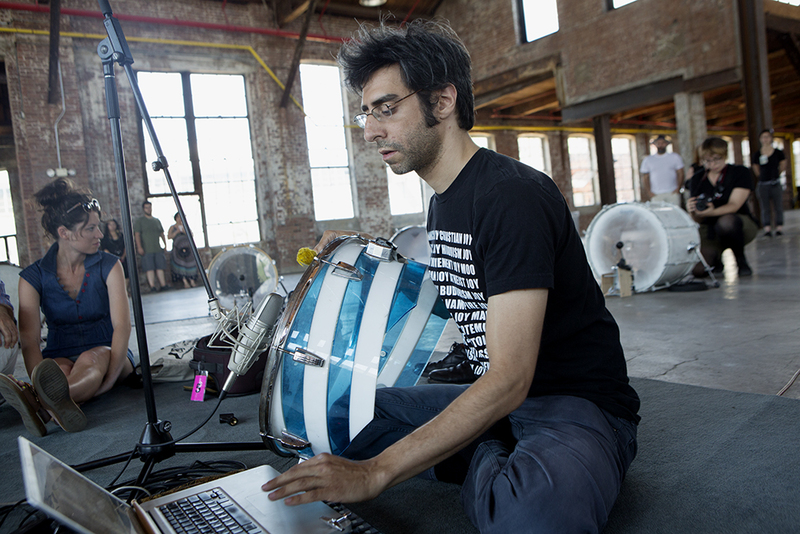 Conceptualized by Bharoocha, Bhatnagar was able to design and build a midi to voltage output source that could power each mechanical kick drum pedal to play the drums separately. 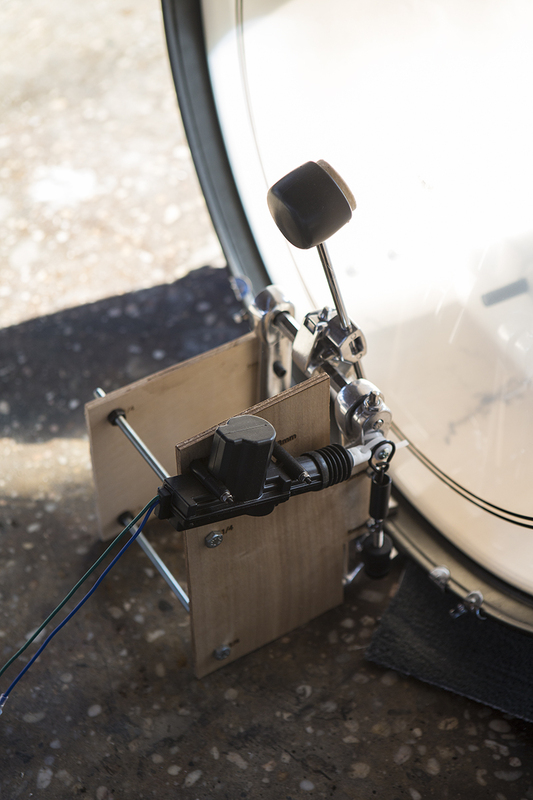 The kick drum pedals, hand built by Bharoocha and Bhatnagar, played a composition created visually as a set of patterns by Bharoocha in a computer program. 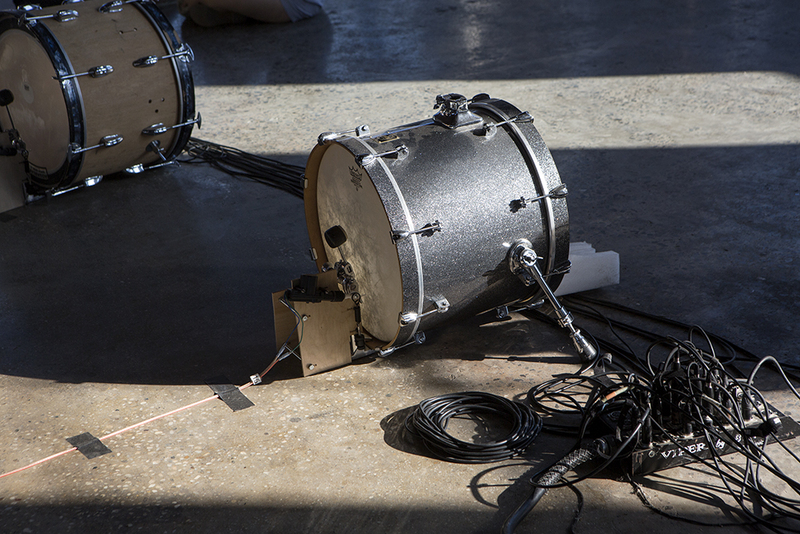 The action of a computer sending digital information to an electrical source, to then have a mechanical kick drum pedal play a physical instrument was crucial in this piece. 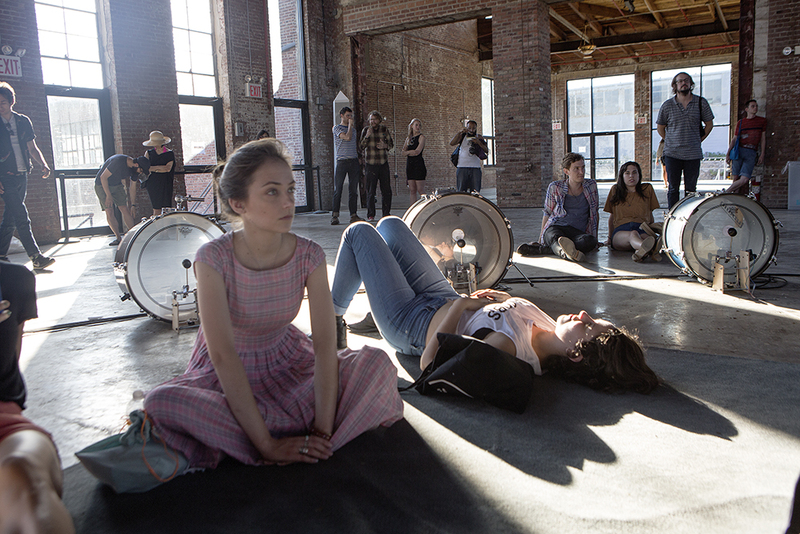 The 30 minute composition was set on an endless loop during exhibition hours. 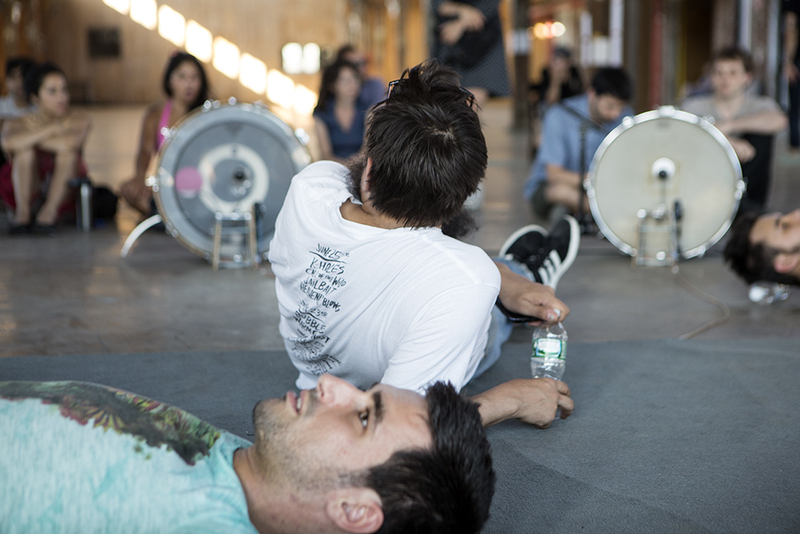 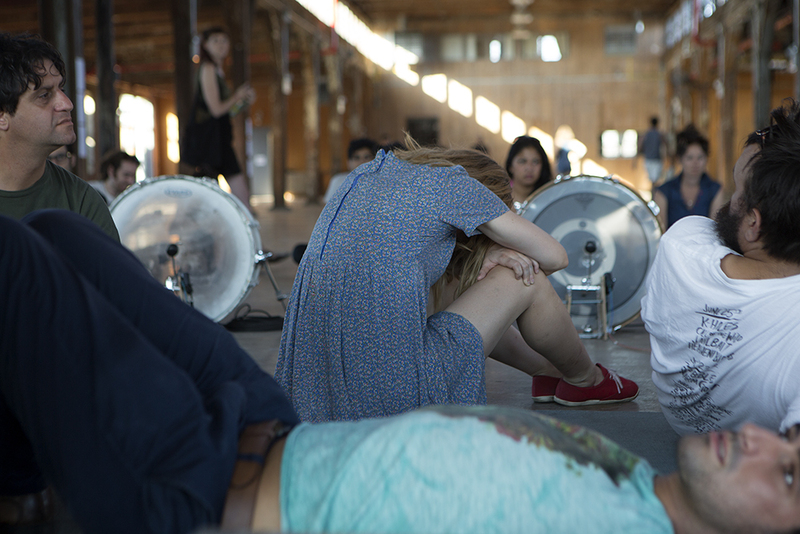 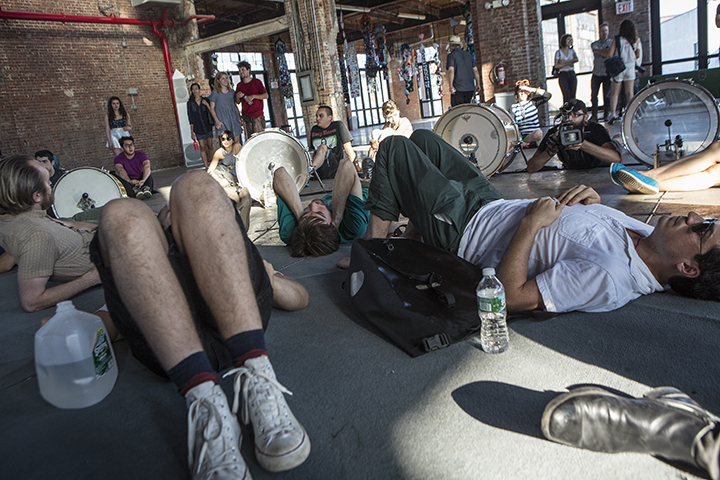 Audience members were invited to sit or lay in the center of the installation, as well as circling around the installation to experience the drum patterns circling around the center. 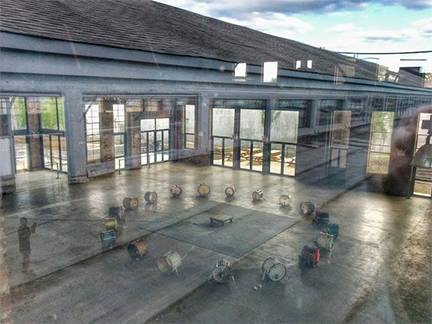 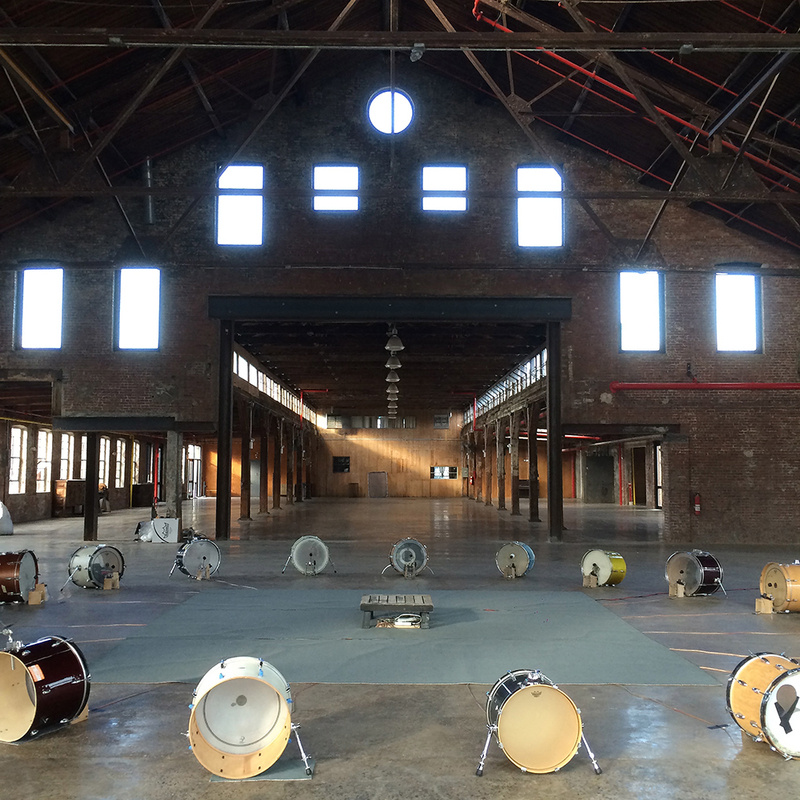 Bharoocha also curated musical performances using this installation as a singular instrument. 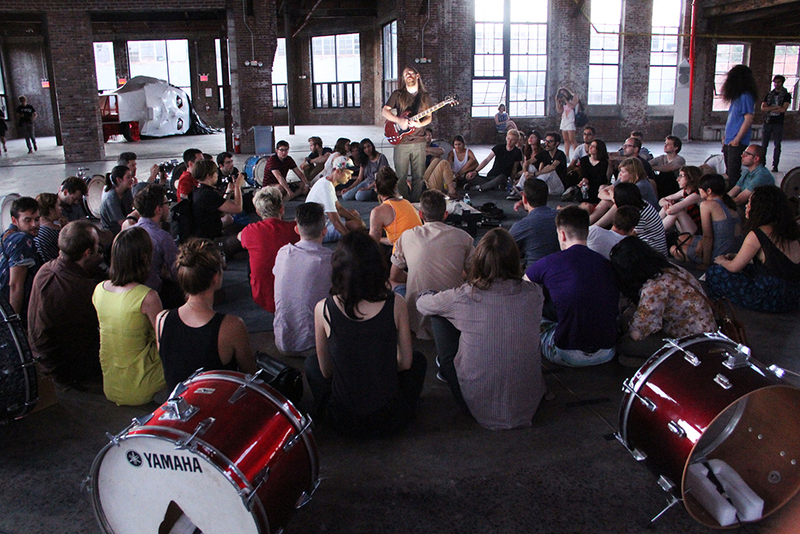 One could connect their own computer source and play the drums as they would any midi triggered instrument. 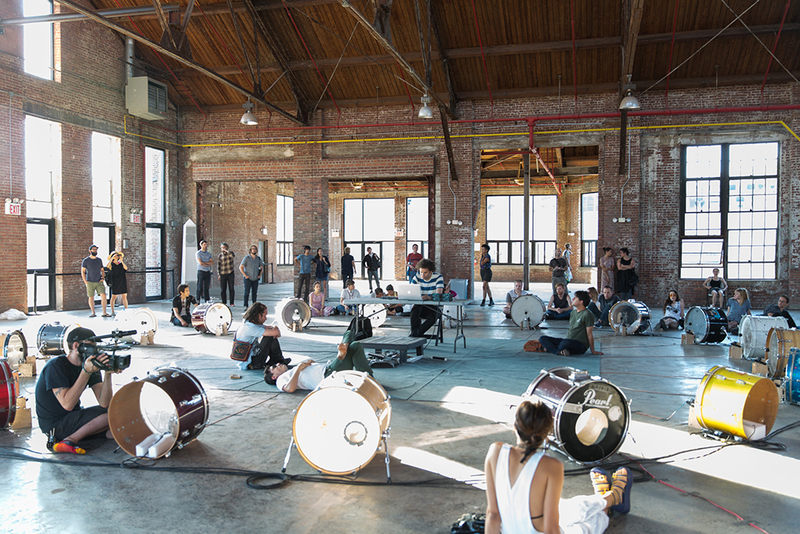 The musicians invited to perform with this installation were Brian Chase, Tyondai Braxton, Dutch E Germ, and a collaborative performance of Bharoocha himself alongside Mick Barr. 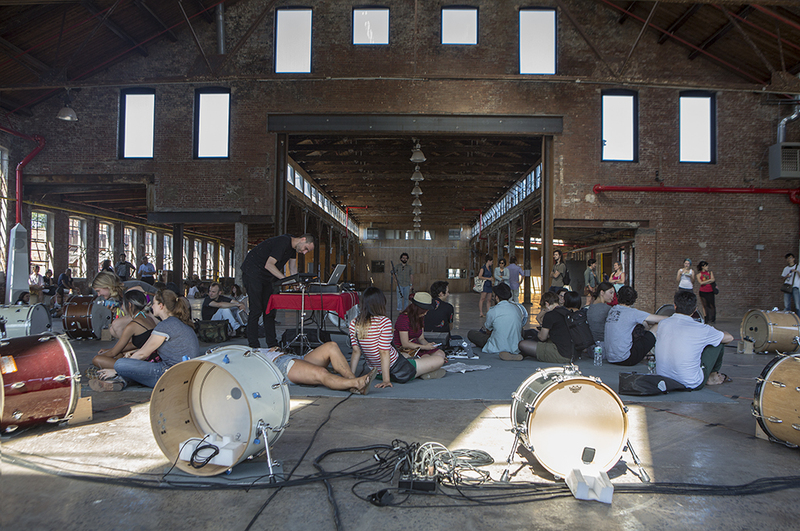 Brian Chase from Yeah Yeah Yeahs performing at Knockdown Center using 0 to O. 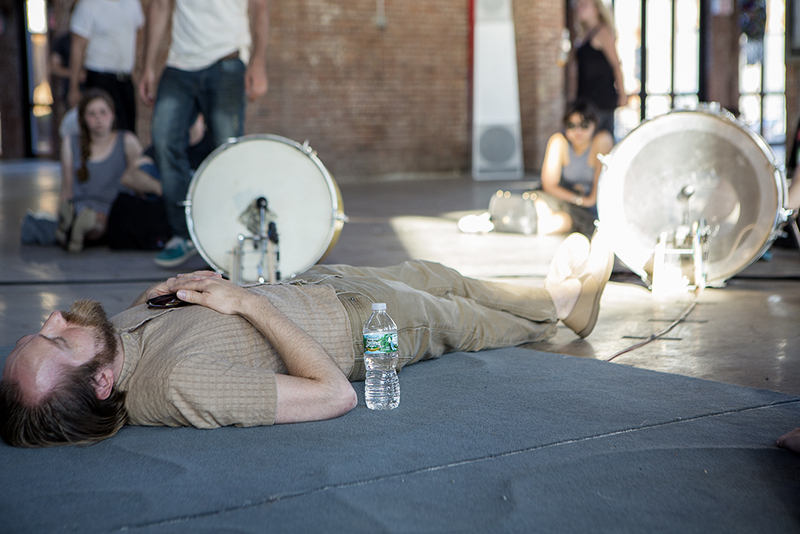 Please click on the names to listen to a recording of the performance.